There can be few countries, if any, other than Britain that both perform and understand the brilliant slapstick humour that is pantomime, with men playing 'dames' and the audience, both young and not so young, actively encouraged to shout out the likes of 'he's behind you'! And, on the basis of this outstanding seasonal treat, there can be few more accomplished, spectacular, and downright funny pantos in the country over this year's Christmas period. 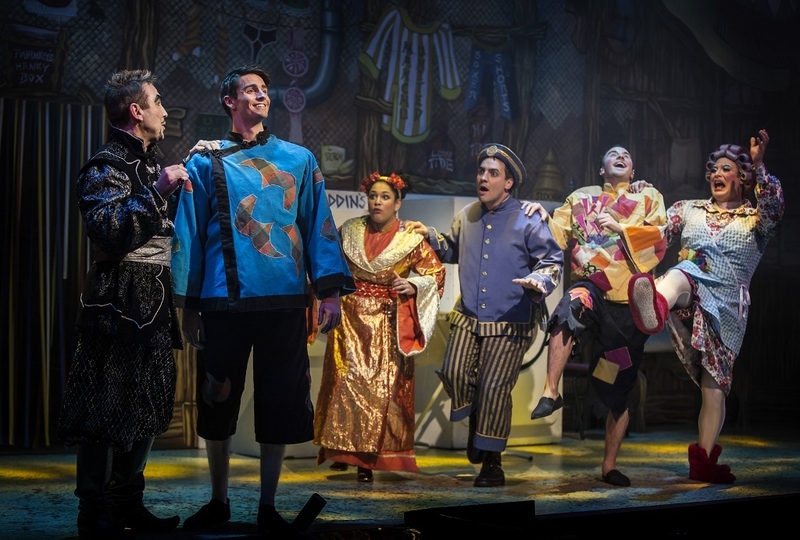 Aladdin, which continues its extended run at the Lichfield Garrick until Saturday 6 January 2018, is the second panto at the Staffordshire theatre to be co-produced with Evolution Pantomimes following on from last year's successful Sleeping Beauty. 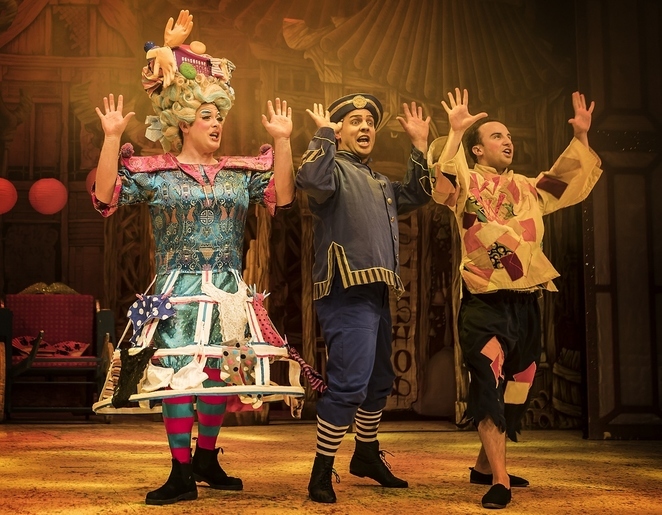 All the ingredients are contained within Aladdin for another classic panto, from the dame - whom audiences are regularly reminded is a 'fat man in a dress' - to the baddie, who draws friendly boos whenever he comes on stage. But, without giving the game away and spoiling the excitement for future audiences, there are also some amazing special effects to wow theatre-goers of all ages, including the captivating flying carpet. Well worth the admission price alone! 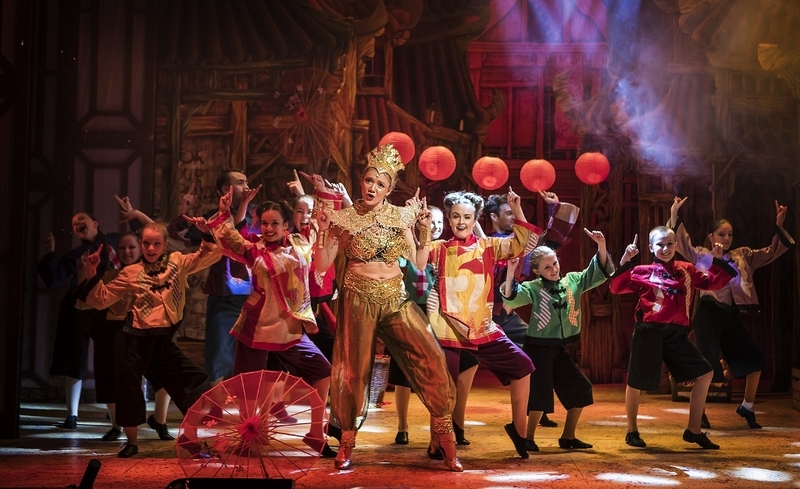 Aladdin stars CBeebies presenter Cat Sandion as leading lady, Princess Jasmine, together with the returning comedy pairing of Sutton Coldfield based dame, Sam Rabone, who plays Widow Twankey, and television presenter and actor, Ben Thornton, who plays 'her' son Wishee Washee. But in many ways the stars of the show are the two genies, in particular local actress Lizzie Wofford who returns to her home city of Lichfield as the Spirit of the Ring. With the help of a spoof Black Country accent she really hams up the role and clearly displays her talents for singing and comedy following highly critical dramatic roles at the Garrick earlier in 2017 in Letters To Emma and Fanny A New Musichall. 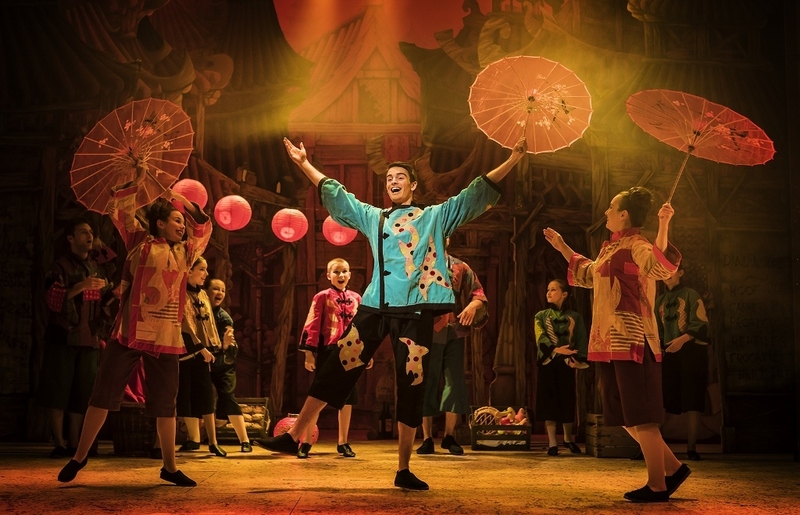 Although introduced later in the panto, musical theatre actor Cameron Johnson produces a larger than life performance as the Genie of the Lamp, partly through his sheer size but also his wonderful dance moves. Cat Sandion shares the main love interest duties with handsome newcomer Adrian Bevan in the title role of Aladdin, who surely has a glittering future ahead of him, while the rest of the superb cast includes excellent 'baddie' Robin Johnson as the villainous Abanazar, who wishes to become the finest Shakespearian actor in the world, children's author Ian Billings as the Emperor of China, and panto favourite James Mitchell as PC Pongo, who displays wonderful comic talent as well as the ability to seemingly ride every known type of wheeled vehicle onto the stage. The comedy is at its strongest during a messy, and almost hazardous, slapstick routine involving PC Pongo, Widow Twankey and Wishee Washee, and a very slick exchange between Widow Twankey and Wishee based on the names of music bands and album titles. And when you throw in an hilarious 30 second cameo from a character called Lim Ping (get it!) you know you're in for a fun-filled evening (or morning, or afternoon, depending on time of the performance). All this splendid mayhem is superbly overseen by co-producers Paul Hendy and Emily Wood, who started Evolution Productions theatre company in 2005, and skilfully directed by the Garrick's very own Artistic Director Tim Ford, with the all-important choreography provided by Ashley Nottingham. 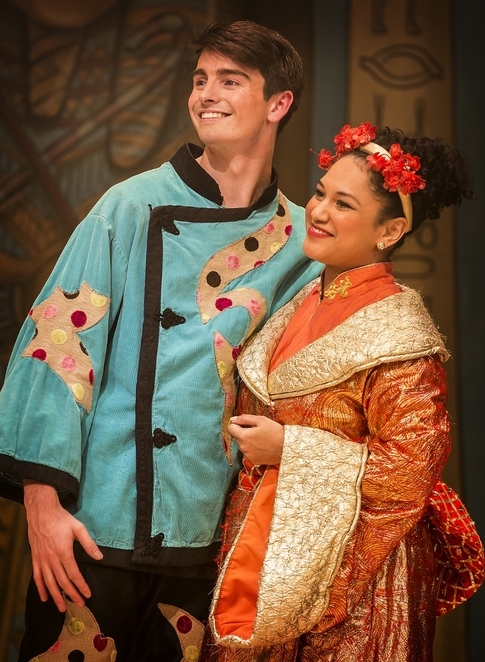 Aladdin continues at the Lichfield Garrick until 6 January 2018 after an extra week of performances were added to meet demand, with a variety of schools, matinee and evening performances. Prices start from £14 for children and £23.50 for adults, and can be booked online at www.lichfieldgarrick.com or by calling the Box Office on 01543 412121. Great review! Sounds like it is going to be a brilliant show.